We all know that orange is the new black and mass incarceration is the new Jim Crow, but how much do we actually know about the structure, goals, and impact of our criminal justice system? Understanding Mass Incarceration offers the first comprehensive overview of the incarceration apparatus put in place by the world's largest jailer: the United States. Drawing on a growing body of academic and professional work, Understanding Mass Incarceration describes in plain English the many competing theories of criminal justice--from rehabilitation to retribution, from restorative justice to justice reinvestment. 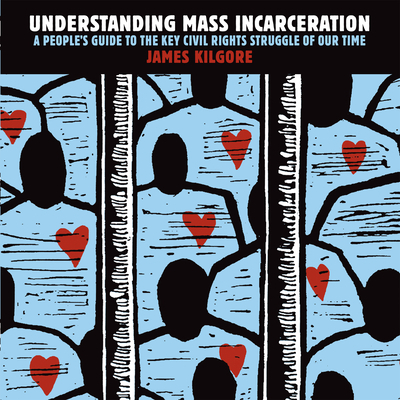 In a lively and accessible style, author James Kilgore illuminates the difference between prisons and jails, probation and parole, laying out key concepts and policies such as the War on Drugs, broken windows policing, three-strikes sentencing, the school-to-prison pipeline, recidivism, and prison privatization. Informed by the crucial lenses of race and gender, he addresses issues typically omitted from the discussion: the rapidly increasing incarceration of women, Latinos, and transgender people; the growing imprisonment of immigrants; and the devastating impact of mass incarceration on communities.